The following post I actually wrote about a week ago. I hadn’t posted it yet because I hadn’t found the time to edit it but I also was not confident in it. Sometimes I write and I never share. But yesterday, when I read the verse of the day in my YouVersion bible ap I knew that this post was meant to be seen. All day the verse from Hebrews resonated within me. I’ve had to remind myself of this very thing many days since September. Now, I can’t get it out of my head. As I think about how my life changed after September… one thing is still true. My Jesus is the same today as he was yesterday and the day before. I’ve been struggling the last few days. I’m emotionally drained but I’m also physically drained and I’m trying to figure out how to juggle my time with this life I’m adjusting too. The foundation is great and I know it is helping us grieve and heal. It has brought joy to see hard work come together, it has brought peace to see there is still good in this crazy world, and it has brought support that we never imagined possible. The work is inspiring and drives me to want more from it. The foundation is hard work and work that we want to do. It’s an inspiration to Be Great. It’s my ongoing drive to Be Great For Nate. But as life moves forward I am juggling the chaos of figuring out where to spend my time and how to make it all work. I believe God laid this foundation out for us for many reasons… for support, for healing, for His work, and to keep us busy so that we keep moving forward each day. But this “busy”, I am learning a new way of managing time. This past weekend I began reading a book by Angie Smith called “I Will Carry You”. I don’t normally read books. I don’t have the time and they don’t keep my attention. If I sit long enough to pick up a book that means I’m sitting long enough to let my eyes rest. But this book, I can barely put it down. I’d looked at for weeks, leaving it in my Amazon shopping cart, wondering if it would be too hard for me to read but so far I’m glad I ordered it and began the journey. It’s a story by a mother who has lost a child. She speaks from her heart and isn’t telling anyone else how to grieve but simply telling her story. As I read it, I swear, there are paragraphs that jump right off the page as if she picked them right out of my brain. I read that and thought, “Wow”. This is me. Yes, I’m angry. No, I don’t understand. Yes, I want to know why Nate couldn’t stay here with us. I’m his mom, he was born to me, and he’s supposed to be with ME. But I believe that we are only here on Earth for a short period of time. I believe that the Lord does weep for me because He knows I am in pain but He already knows the joy that is to come. I have to ask myself, if I didn’t believe in eternity, and what if I didn’t believe in God or Heaven, then what would be the point of life? I will keep surrendering. I will keep leaning into God because I believe in time He will keep revealing answers to me. Today we had a great spring day playing outside for a good part of the day. The warm weather brings smiles and fun. It’s awesome to see Drew maturing and playing outside in a different way. It brings joy to see Kaylee enjoying the outdoors so much. I love to watch her innocent laughter, curiosity, and love of life. Today in the midst of so much fun, Kaylee asked to play in the sandbox, but as I looked at it I knew what was about to hit me. I opened the sandbox out of curiosity to see how it survived the winter. When I opened, I saw it, exactly as Nate had left it. There were trucks, matchbox cars, a shovel, and a plastic atv with the hills still in place on one side of the box. In that moment I wasn’t ready for Kaylee to touch it. I mustered the strength to softly close the top and place the bands back over the edges to secure it closed, and then with tears rolling down my cheek, I looked at Kaylee and told her we’d have to play in the sandbox another day. I will try it again another day. Nate would love to have Kaylee playing in that sandbox. This life is not what I asked for and it’s not what I imagined my life to be. Despite my best planning for years it’s not what I had planned. It’s new and it’s not always exciting. Sometimes the hurt feels like more than one should ever bear and some days I find the joy I thought I never would again. Some days I feel pride in what we have accomplished this winter and some days I wish I could turn back time. The truth is that’s not possible and that hurts. But my choice is that in the unbearable I will go on and my choice is that I will keep seeking joy and finding hope. Last night, as I thought about this post and re-read it I realized, my Jesus is the same as he was yesterday. He is the same as He was last year. He is the same as He will be tomorrow. He is my past, my present, and my future. On a side note: I have also been posting sneak peeks of the Go Out Be Great Tough Mudder pictures on Instagram. You can follow us @gooutbegreat on Instagram and you can also post your pictures of you being great by #gooutbegreat too! A huge ‘thank you’ to everyone who came out to support the Baker family and the Nathan Chris Baker Foundation on Sunday, April 7. This was the second open house vendor event we’ve had to raise funds. 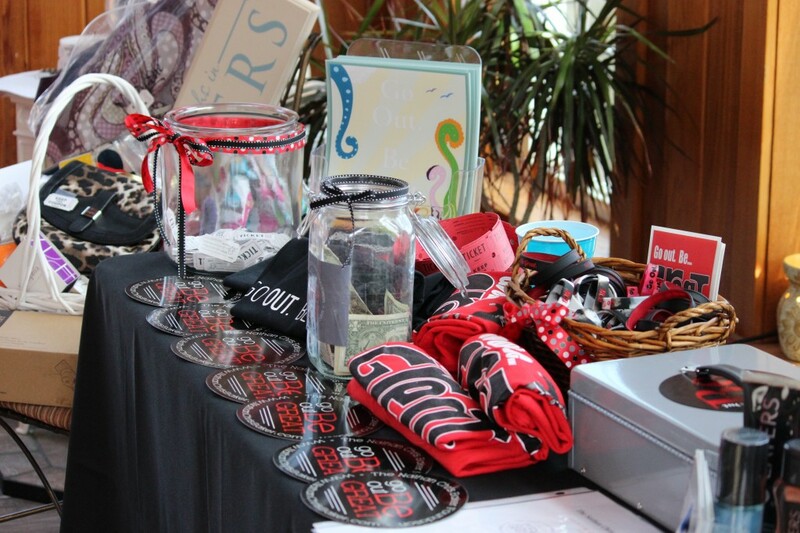 Vendors at the event donated 100% of their sales to the foundation, helping others in need and to provide support in difficult circumstances. Please take a moment to say thank you to these ladies for their time, hard work, and generosity! I have been honored to be personally involved and to open my home to help in this small way. The open house events have been opportunities to use the difficult circumstances and loss of our dear family friend to share the hope and faith that perseveres despite great pain. Thank you to those friends and family who continue to rally and show support even as time passes. 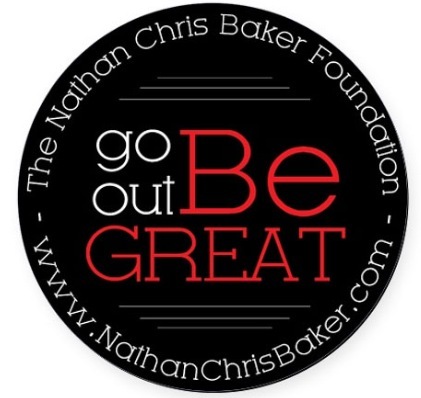 This open house raised over $1,200 for The Nathan Chris Baker Foundation! I am honored that Naomi, a very good family friend, has chosen to host another Open House and graciously invite multiple vendors into her home again. Naomi along with all the vendors are so generous in this offering as they are donating their time and profits to The Nathan Chris Baker Foundation. I want to thank my sweet friend Naomi and all of the vendors in advance! 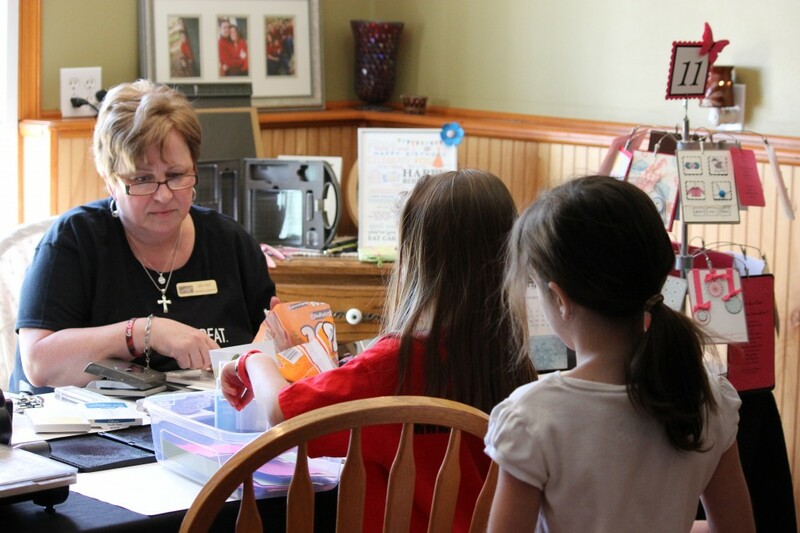 This open house in December 2012 raised over $1,500 in donations. Let’s make it a huge success again. This is a great time to shop for Mothers Day or for yourself! Share with your husband and have him shop for you! Below I’m listing the vendors and all of the ordering information for those of you who are not local. We are meeting next month to discuss future fundraisers and can’t wait to tell you all about them! Keep checking back for updates to the website, facebook, and the blog! I hope to see you all there! We will also be there with a Go Out Be Great table to sell t-shirts, bracelets, pictures, and our new car magnets featuring our new logo! If you are unable to make the open house event scheduled for Sunday, April 7 from 1-4pm, but would still like to place an outside order as part of this event please see the specific vendor information below or email Naomi Johnson at pjj777@comcast.net. Thanks so much for your support! Please visit www.staceybaker5628.avonrepresentative.com to view the online catalog and order online. You may also contact Stacey Baker at ravensgirl503@yahoo.com or 410-549-7625 to order. Please visit www.jilljackson.graceadele.us to view the online catalog and order online. You may also contact Jill Jackson at jills_3_200@hotmail.com or 410-596-5628 to order. Please visit www.liasophia.com to view the online catalog and then contact Naomi Johnson at pjj777@comcast.net or 410-236-5228 to order. The monthly special for April is buy 2 items at full price, get up to 4 additional items at ½ price. The ½ price items are your most expensive pieces. Please visit www.pamperedchef.biz/staceycabral to view the online catalog. Please enter Stacey Cabral as the hostess. You may also contact Stacey Cabral at staceycabral@gmail.com or 443-807-0562 to order. Please visit www.katiebaker3.scentsy.us to view the online catalog, monthly promotions, and place an order online. You may also contact Katie Baker at katiebaker1005@gmail.com or 443-542-1913 to order. Please visit www.joanhajek.stampinup.net to view the online catalog, monthly promotions, and place an order online. You may also contact Joan Hajek at binkyman99@yahoo.com or 410-465-3475 to order. Please visit www.tastefullysimple.com/web/kclark to view the online catalog and place an order online. Once on the site Choose “Shop our Products”. Add selections to your cart and then choose “Proceed to Checkout”. Choose “Find Host/Event”. Enter this info to locate the party: First Name = “Naomi”; Last Name = “Johnson”; State: “Maryland”. Click Search and Select. Select “Check out” and follow the steps. You may also contact Karen Clark at karenclark04@yahoo.com or 410-871-1106 to order. Please visit www.mythirtyone.com/punsalan to view the online catalog and place an order online. You may also contact Kerri Punsalan at kapunsalan@comcast.net or 240-417-5947 to order. Please visit http://julieweaver.uppercaseliving.net to view the online catalog and place an order online. Please click on the event titled “Go Out Be Great Vendor Show” to order through this show. Questions can be directed to Julie Weaver at via email at julie_weaver@comcast.net or by phone 443-386-3568. Please visit https://jilljackson.velata.us to view the online catalog and order online. You may also contact Jill Jackson at jills_3_200@hotmail.com or 410-596-5628 to order. There will be a representative from The Cosmetic and Skin Surgery Center to offer consults and services and a portion of the sales will be donated to The Nathan Chris Baker Foundation! You can visit www.frederickcosmeticsurgery.com to see th practice. Thank you and hope see you all there! I am grieving the loss of my son. My life will never be the same. I’m not sure my “storm” will ever be over. I knew this storm would be hard but what I didn’t realize is that I would at times feel so lost in this storm. Yes, I lost a piece of me with Nate’s passing. He was our son, a living piece of us here on earth so yes I did lose a piece of myself as well. But I feel like I’ve lost more than that. I feel like I’ve lost what made me complete. Had I made the mistake of letting my life revolve around my children? I don’t believe that could be possible. That was my God given role. But I found my security and worthiness in my children and parenting and my family. I was one of the stay at home momma’s that did it all. I was so happy when we had our 3rd baby Kaylee Grace. Our family was complete. I’d always wanted three children (and sometimes more) and I knew I wanted to be a MOM. It was my goal from the time I was a little girl. I was born to take care of children and never in my life have I ever doubted that. I liked and actually thrived in that chaotic feeling running on and off a baseball field or wrestling mat or to the bus stop and back with my head spinning and 3 kids in tow. There may have been days I felt like I was losing it and maybe even complained about the busy life we lived but I’m pretty sure I still had it all in control. We hustled to and from family visits, birthday parties, sports, doctor appointments, preschool, playgroups, grocery stores, libraries, and school. With Justin’s rotating work schedule I was always prepared to tackle each day on my own if needed. It was stressful at times but at the end of the day when I tucked three babies into bed and kissed them each good night, it was then that my day always felt worth it. None of the craziness mattered because I had 3 blessings that filled my heart with more love than I’d every imagined. There are many times now I just feel lost when I’m in those situations I used to stand proud, calm, and in control. It’s those moments I’ve spoken about before where I can almost stand outside my body and see the world moving around me while I stand still. I stood, last weekend, as I watched the cousins on my side of the family run crazily around my sister’s living room. I watched my niece Annalise open her 1st birthday present from us and all I could think was of how Nate would be sitting as close as he could get helping her open the gift. Anxiety flared and I no longer felt in control. I wished I could hear Nate and Hannah playing, I wished I’d seen Nate chasing Kaylee around monitoring what she was doing, I wished he’d gotten to know Annalise and his baby cousin Josiah better. And I wished Drew wasn’t crying about missing his brother. I wish that little booger had been there in that happy chaos and made me smile in it. There are moments where Nate is so present that I can hear and almost feel him and there are moments where there is an obvious absence in the room that just sinks my soul. That afternoon I felt that absence so clearly. Nate loved that “happy chaos”, in fact, he thrived in it. He likely would’ve been the center of that chaos. I felt lost and out of control. I missed Nate. I suddenly wasn’t sure how to be the Aunt my nieces and nephews have always known. My storm isn’t over and I’m not the same. How do I evolve into the Aunt they remember that played and smiled and chased them and loved them. I still love them, all of them, but there’s a piece of my heart missing that almost feels incapable of growing bigger. As we left for dinner, I was on the brink of a meltdown. I sat in my car, quietly with Drew and Kaylee, and prayed. I remembered my word of the year and of what I have to continually remind myself to do. Surrender. I prayed that I could surrender all the pain and fear. I prayed that I could surrender the feeling that I’ve lost myself and let God lead me on how to find the new me. I prayed that God would hold me as I tried to enjoy the rest of the evening at dinner and out for ice cream. And I pray still that God will help me find myself in all of this. Yesterday while Drew was getting ready for school I was listening to he and Kaylee, in his room, while I was getting ready in my room. 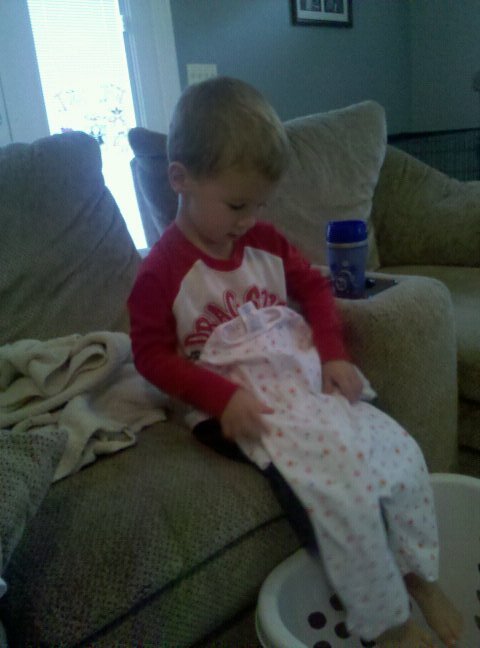 They were chuckling and Kaylee was getting into Drew’s things as he was trying to get dressed. I could hear Drew correcting her in his polite little voice the way he does and telling her what to touch and not to touch. In that moment, I could so clearly hear Nate then correcting Drew about not correcting Kaylee. This was typical Nate fashion, always in the know, and in the middle of whatever may be going on. I could hear him so clearly bossing Drew saying in that drawn out tone as he made his point “Dreeeeew, don’t boss Kaylee around that’s not your job.” It made my eyes tear up but also made me smile because sometimes his voice is just so clear to me. In that moment, he was so present in this house. This storm will forever affect me, my family, my friends, and all of you who continue to support and pray for us. It may come and go in waves and I don’t think I will ever be able to predict the hard days. Some days feel like a blur. I haven’t read a single grief book. I don’t know that I believe what they may tell me. I’m not sure a book can predict this storm I’m in because every walk in grief must be different. I’ve depended on God, faith, family, and friends. I haven’t accepted advice from those who tell me how to grieve. I’ve found comfort in those that let me grieve as I feel led to do and that don’t pressure me to feel differently than I do. Some days are a harsh reality of the storm we face each day. I still have to force myself each day, each bad moment, to make a choice to go on and be great and to trust and surrender to God. The days haven’t gotten easier. I’m still in a fog just trying to take in every moment with Drew and Kaylee so I don’t miss a single moment. I know that I am not the same person I was a year ago. I’ve already changed through this storm. My relationships have changed and are evolving and taking work on my part. My relationship with God has changed too. I think through this storm I have grown so much closer to God in a way that’s indescribable and in a way that I long to learn more. For I know, that He holds my Nate in His arms, and He loves him so much!!! One thing is sure, this storm may affect us forever here on Earth, but I see sunshine ahead in Eternity. I’ve had trouble writing lately. I just haven’t felt like sitting down and putting pen to paper or in my case fingers to keyboard! I haven’t felt the urge and I have felt emotionally incapable of writing. I honestly find writing and reading the supportive comments from everyone so comforting and as much as I wanted to force myself to write in the last month, I just haven’t been able to. Then I thought about this song, “Called Me Higher” by All Sons and Daughters, and as I reflected on last few weeks and I knew that I needed to write. 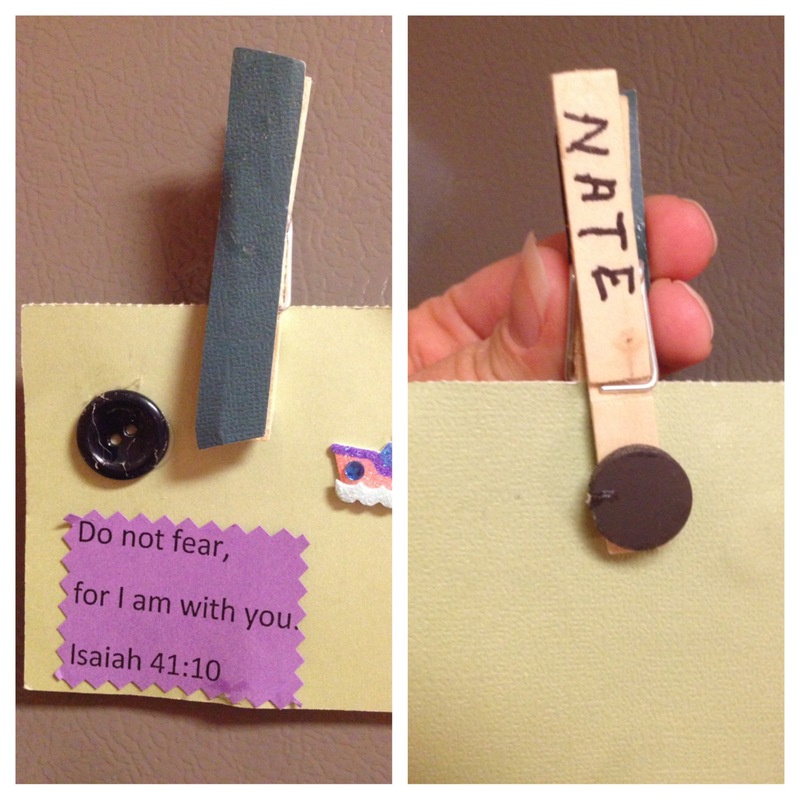 Today, as I was cleaning, I happened to look up and see a magnet Nate made last year at vacation bible school hanging on the side of the fridge. It was a painted clothes pin holding a bible verse. The verse on the notecard was written as a preschool shortened verse which reads, “ Don’t be afraid, for I am with you. Don’t be discouraged, for I am your God. I will strengthen you and help you. I will hold you up with my victorious right hand” (Isaiah 41:10 NLT). Then only a few minutes later I opened my You Version application as I do most days to read the verse of the day to see, “Instead, you must worship Christ as Lord of your life. And if someone asks about your Christian hope, always be ready to explain it.” (1 Peter 3:15 NLT). I know that when I write I share my heartache but I also want to share my strength and my hope that in moments I know can only come from God. Following the holidays the last few months have been tough. Everyone warned us of how hard the holidays would be but the truth is that, emotionally, we could prepare ourselves for the holidays and Nate’s birthday. I expected the holidays to be harder but we were so emotionally prepared that we got through them with love, prayer, family, and friends. What we can’t prepare ourselves for are the unexpected moments. Those unexpected moments are the ones that seem to hit the hardest and are the times where I sit with tears rolling down my cheek. Admittedly, these are private moments for me. My closest family and friends will tell you that I am the girl that will say “I’m fine” even when every ounce of me knows that I am not. Lately, I’ve had what I can only explain as something similar to an outer body experience. I can be having a nice evening out with my family and friends and will have a moment that I am reminded of Nate. The guilt hits me that I’m having a nice time and I immediately find myself literally staring at myself as the world moves on around me. I’m stuck, paralyzed, and can’t move or even think as I wonder how my life got here and how my life will go on without Nate. In those moments, I have to force myself out of it. I have that choice to wake myself up and push forward. I have to keep going for Drew and Kaylee. I have to let the Lord lead me, surrender my pain, and let his light lead the way. My heartbreak moments come unexpectedly. I have these moments where I turn a corner and swear I can hear Nate playing in the background or I’ll be singing in the car with Drew and Kaylee and there are times I swear I hear Nate’s little voice singing and giggling too. I turn down the radio in time to turn and look but only to realize he isn’t there. Two weeks ago, I was I going through hand me downs for Kaylee and all I could think of was Nate helping me sort hand me downs, making a huge mess, and saying to every single shirt, “Look this is pretty mom, we’ll like this one”. Then as I sorted through the clothes that are too small in her closet and see the dress she wore to his preschool graduation I find a piece of my heart in pain. The moments hit me constantly on any given day. These are my moments, our family memories, the ones that no one could of prepared us for. The moment a friend or a cousin loses a tooth and I’m immediately reminded of how Nate didn’t get to lose his first tooth. I have to turn and tell me myself to pull it together because I want to be happy and excited for the other children too. That’s who I am. I was sorting through pictures last week to find some from the first day of school that I need to send out. As I looked at pictures, of my sweet boy, and his smile, so proud, as he was getting ready for school, tears hit the table in front of me uncontrollably. Last weekend, we were fixing Drew’s plate of spaghetti with noodles on one side and sauce on the other and as we sat it on the table he says, “No, mom, I like mine mixed together, Nate liked his separate” and in that moment my heart breaks because it’s just not fair. It’s really just not fair at all. He is in my every thought and my every moment. He is my baby boy. I will grieve in my own way. There are no books that tell you how to do this. There is no helpful advice that tells me how to do this. There is no amount of tears or smiles that will ever make this okay. That’s when I have to let God lead me. I have to surrender. I can’t do this on my own. I’m not doing this on my own. Last week, I made a 2 hour drive to see a good friend. I started my morning excited about getting out of the house for the day and eager to catch up with my friend! As I started driving in the peace of my car where my mind can wander I started to have flashbacks, full anxiety, and questions. Just as I thought I’d be entering a full panic attack my shuffle playlist hit “Never Let Go” by David Crowder Band. When disaster came, He never let go. In that moment I prayed. I prayed and I reminded myself to surrender it all. I was in awe, that God knew exactly what song to put in my playlist at that moment. As I continued on my drive I found myself deeply in thought as I listened to worship music. I had a moment of peace. The truth is, I want to know what happened to Nate and I want to know why it happened to us. I can’t begin to tell you how many times I’ve pleaded for answers or I’ve said “I won’t ever know this side of heaven why this happened the way it did”. But, Friday morning as I drove out over the Bay Bridge, I realized that you know what… I don’t think I’ll know the answer to what happened on the other side of heaven either. I believe heaven is a happy place with no worry and no fear. I think we will walk through Heaven’s Gate and the anxiety of what happened will not be given another thought. In some way, that brought me peace. To my normal OCD self I would think that idea would actually bring me more anxiety but in a small way I’m at peace with that. I’m at peace with knowing that one day this question won’t need to be answered and I can spend eternity in Heaven, happy and with no fear. As I told my friend this story, mainly because as a strong sister in Christ, I wanted her thoughts on this, she looked at me as her eyes filled with tears and said “Katie, you know what that is, that’s faith”. It is faith. It can’t be explained. It’s just what I believe. I will be missing a piece of my heart every single day of this life. I will always be slightly broken. But the hope is that joy comes in the morning. “But as for me, I will sing about your power. Each morning I will sing with joy about your unfailing love. For you have been my refuge, a place of safety when I am in distress.” (Psalms 59:16 NLT) I have bad days, but each night I tell myself, tomorrow is what I choose it to be. I can wake up and find joy in the morning. I will push myself and I will not live this life sad. I will be GREAT for NATE. And I will be GREAT for GOD. A foundation update: We are still in the non-profit process and working through the endless paperwork process. We are also in the trademark process for Go Out. Be Great. We are hopeful to get the non-profit status as we are eager to start fundraising again for future projects! Keep checking back! A Playground Update for Mechanicsville: Now that we are 99.99% sure we have won Rally for Recess (official notice should come at the end of the month), we have gotten notice that the school is moving forward with the both the Kindergarten playground and the BIGGER than originally planned 1st – 5th playground. The school is currently working on logistics of price quotes & approvals, and plan to order equipment by the end of March. The production of equipment takes a few months so the day school lets out for summer the demolition will begin and the area will be prepped for the new playgrounds!!! We should see new playgrounds being installed in July. We can’t wait to see this project become reality! We will continue to keep you all posted. As always, thank you for your support, thoughts, prayers, love, support, and friendships. If tomorrow isn’t promised… What would you do with today? I heard that saying at church this past weekend and it stuck with me. I just kept thinking of Nate and how quickly life can change. Tomorrow is not promised. Sunday, I attended service at Lifepoint Church and listened to a sermon titled “One Word”. If you would like to listen – here is the link. http://sermons.lifepointchurch.us/recent-messages/ . It affected me profoundly. I will fully admit I think it was the first worship and sermon that I have listened too since Nate’s death that I really felt fully and deeply connected. I felt like I could hear God speaking to me. I did not set a New Years Resolution this year and really can’t think of many years that I have. I know that resolutions don’t work for me. I don’t stick to the goals and usually within a few months have forgotten what the resolution was anyway. 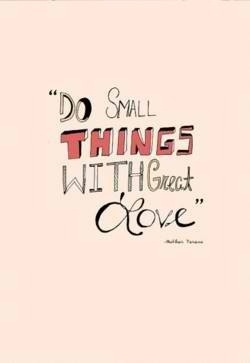 But I like this idea of picking a word to live for in 2013. As I was listening to the sermon I thought immediately that my word should be Hope. But as I worshiped through music at the end of service and I sang “Arms Wide Open” and “Great I Am” with my hands held high in worship I pondered if that was the right word for me. I already had hope. Yesterday was our baby girl, Kaylee’s, 2nd birthday. We really had a great day. We enjoyed every minute with our sweet baby girl and we had a fun day just spoiling her and loving her. This morning, though, I woke up with guilt. I felt guilty for feeling joyful yesterday. I felt sad that Nate hadn’t been there to celebrate with us. I felt fear that Kaylee will never know Nate’s love. How he held her and helped take care of her. How he sat with me the night I brought Kaylee home, the look of pride the day she was born, the way he hugged her, played with her, and followed her every move. The way he would of loved to tear open presents with her and how he would of asked for his cupcake with “no” icing. The way he would of stood so close to her as we sang Happy Birthday and we probably would of been asking him to step back but he would of nudged closer anyway and he would’ve helped her blow out her two candles. This morning as I got her out of her new big girl twin size bed I thought of how Nate would’ve come popping in this morning to see if Kaylee had slept good in her new bed. He would’ve smiled and climbed right in with her with a grin on his face talking in that baby cheesy voice for her. He loved her. She won’t remember that. That breaks me. I will tell her always of how much Nate loved her but will my stories be enough? I don’t know why hard days hit me like a ton of bricks are thrown at me all at once? Maybe because some days and weeks are just so busy that I don’t have time to really stop and think. Maybe it’s that now that Nate’s birthday, Christmas, New Years, and Kaylee’s birthday have all passed I have time to think. Or I have time to let the emotions hit me. But I woke this morning full of guilt for feeling joy and then sadness for missing Nate. I came downstairs and immediately turned my ipod to shuffle for my Christian mix. The 2nd song to play was “Arms Wide Open” by Hillsong. I can feel the emotions rise within me as I write the lyrics… Here I stand, Arms Open Wide… My whole life is Yours, I give it all, Surrendered to Your name, And forever I will pray, Have Your way. After packing lunch and getting breakfast started for Kaylee I went upstairs to wake Drew up for school. As I opened Drew’s door, I could see this ray of sunlight shining straight across Nate’s bed. You see, Nate had this thing with propping his window shade open with a book or a truck so that the light would shine in and hit him directly in the face. It was like he needed to know it was morning and let that sun in. Well, this morning, when I saw that sun shining in the way it used to shine in on Nate I felt overwhelming since of love. Love for Nate and the Love of God. I actually had to check the window shade to see if it had been propped open, then I leaned down, stroked the ray of light where it hit Nate’s bed, and as tears hit Nate’s bed I whispered to Nate of my love for him. Some days I find joy and some days I find guilt in that joy. Some days still feel like a dream I’m waiting to snap out of. Some days are just plain hard. Today felt like an impossible day. Today made me question how I will get through each day for the rest of my life without Nate. But this morning when Arms Wide Open played in the background and I heard again the words … Surrendered to Your name… I decided I will surrender it all. I decided that my One Word for 2013 is Surrender. On the days that feel like I can’t bear another burden, another ounce of pain, I will hand it to God. He will carry me through it. I have given so much of this to God but I know there are pieces of me that I haven’t let go of yet… I’m still trying to hang on to a little bit of control and it’s time I surrender that too. I remember thinking during the worship at church on Sunday that although I do not understand this path I have to walk and I have no answers to a bazillion questions about September 2nd, 2012 that He is still the only one that can give me peace in the future. Peace to turn 2013 into a year of Hope by surrendering everything I am to him. He will give me the strength I need when I feel like I can’t take another step. He gave me the strength today and I made a good day out of a hard day. He showed me a ray of light when I needed it so badly. He makes me ponder the question … If tomorrow isn’t promised – What will I do with today? If you had to pick one word for 2013 to live by… what would it be? 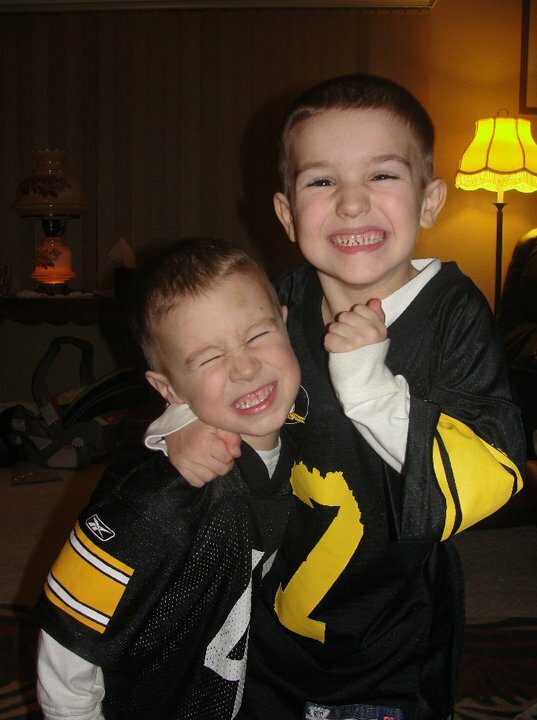 Sunday, December 23rd, was Nates 6th birthday. I have a picture of him from last year when we had taken him to eat at a Japaneese steakhouse on his birthday. We don’t eat out often but we always do on birthdays. His special choice for birthday dinner was Sakura. He loved going to Sakura but not for the food. He went because he liked the production of the chef, the fire and the tricks. 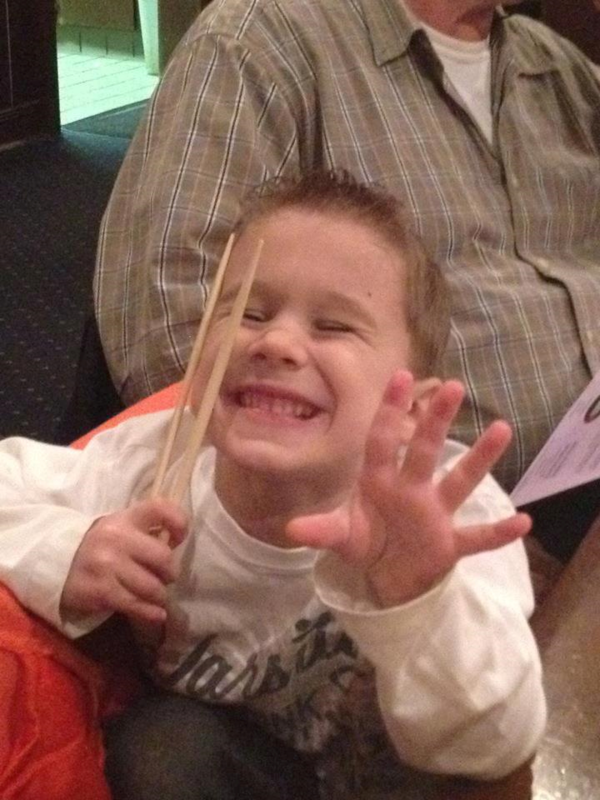 The picture I have is Nate holding up 5 fingers with that big smile while out to dinner last year. He was so proud that he was old enough that his fingers took up “one whole hand”. I was looking forward to this year when he got to hold up that 1 finger on his 2nd hand so that now he used two hands. He was supposed to hold up 6 fingers this year. Nate, I hope the streets of heaven were filled with balloons for you! December 24th, we went to Christmas Eve service with my family and the kids. As always, it was a great service, a reminder of how He is still speaking to all of us and of His Love. I was a very proud mom during worship as Drew stood on the chair between Justin and I and wrapped his arms around both of our necks with such strentgh and love. He watched the songs on the screen and he sang so proudly. We have a tradition of the kids exchanging gifts among each other after church on Christmas Eve. Although Kaylee is still too young to understand Drew began asking that morning when he and Kaylee could exchange their gifts. Now, for the past few Christmas’s Nate had asked for, without fail, the truck from the Hess gas station. Each year they are a little different but all make noise and fit Nate’s boyish personality exactly! Justin and I decided that we wanted to still buy the annual Hess truck that Nate would of asked for I know. Nate was the child that circled every single toy in every single toy magazine and added each to a wish list. We would have to narrow his list way down to the toys we knew he would play with the most. The Hess truck was one. So, on Christmas Eve, Drew opened a Hess truck as a gift from his angel, Nate. Drew was proud and honored and it made me smile that he would share that love. Christmas Day had ups and downs. We made it through with the help of our family. They were here for us and we needed them. We needed their love and we needed to see their love for Nate. I know Nate was with us too. I could feel his presence in the midst of the commotion and excitement. As cousins sat around the tree to tear into presents I could see Nate so vividly ripping through presents. My mind ran through Christmas morning 2 years ago as Nate dumped out his stocking in disappointment, literally, as Drew showed excitement with each and every item. Nate had a one track mind and was only interested in finding that “horsey trailer” (as he called it) that he’d asked Santa for. The disappointment of not finding that trailer in his stocking left as quickly as it came when he realized he still had presents wrapped from Santa behind him. I have that morning on video and we have watched it in the past and cracked up laughing at the whole scene. To be honest, right now as badly as I want to watch it, I know that I am not ready for videos. We were all sick over Christmas and I tend to think it was a divine plan to distract our minds. Christmas day I cuddled a sick baby girl with a fever who wouldn’t leave my hip. I was even late getting showered and prepared for our afternoon Christmas with family. Definitely not our style but Christmas day we didn’t stress. We did things at our pace as we needed. We were surrounded by love and support by friends, family and our community. Thank you all for your thoughts, notes, cards, and prayers. And thank you to the secret Santa’s that left a few unexpected gifts at our door step last week. You should know you brought a smile to our face with your generosity and thoughtfulness! As we approach the New Year and what is supposed to be a happy weekend and filled with New Years resolutions and wishes I feel worn down. I really don’t want to admit this but I am dreading a New Year. I am not ready to start 2013 without Nate. I’m not ready to do this. Every day I wake up and still hope this is all a dream and that Nate will be standing at my bedside whispering “Mom, can I wake up?”. Each and every day I am filled with memories and reminders. The little things that nobody but us will have. A trip to the store is grocery aisles filled with Nate’s favorite cereals and snacks, a car ride is filled with memories of “Look at that truck” or the recall of every deer he’d ever seen along the roadway, or all the crazy conversations. A trip to the mall is the instant recall of the new shoes he’d picked out, Reebok Zigs, black with big yellow soles for Kindergarten. He wore them proudly, threw pennies into the mall fountain, and kicked the big blow up Ravens fan. Every corner I turn I can see a memory of Nate. I buy the wrong flavors of snacks for Drew thinking they are his favorite but then realize they were Nate's favorite. I sit at a wrestling meet and wonder if I have cash for the snack shack then realize I don’t have Nate running back and forth for pizza, gatorades and push pops. For weeks I ordered too much milk from the creamery and people would ask “Why is there so much milk in your fridge?”, well because without Nate I’m still figuring those things out. How does one prepare for a new year when it doesn’t feel so new? I know us and I know that we will get through 2013 and we will be okay. We will do this as a family with faith, hope, and love. I am in prayer for God to walk us through this journey and that He will continue to open His arms to us. I will still Hope and I will still strive to be Better. And I will Be Great for Nate. This morning I took the dogs out as I do most mornings. Since Bella, the poodle puppy, is still so little I typically stand in the front yard to watch that she does not run off. As I stood in our yard this morning I found myself staring at all of our “stuff”. I first saw the trampoline Nate loved that was a Christmas present last year. As I looked at the trampoline I felt tears welt up as I pictured Nate running and jumping and playing on it with his usual energy and excitement. I remember Nate asking Justin to blow the leaves off the trampoline with the leaf blower. I don’t think he cared that there were leaves on the trampoline honestly… I just think he wanted to see Justin get tools out and help. I began to walk around the yard and then saw the dump trucks he played with almost every day whether it warm or cold, or sunny or raining. Each truck had a purpose to him of hauling dirt in the yard or piling fresh cut grass into or emptying rocks from behind the retaining wall. Then the bike he learned to ride last Spring and whizzed around on like a pro. I can still see his little legs just peddling as fast as they would go. Everything he did was with such intent. The water table and sand box he’d always wanted and we finally broke down and bought him last summer. I claimed it was for Kaylee and daycare children but really it was Nate that I knew wanted that sand box. I even looked at our house, the cars, and shed in wonder. Everything we have I looked at in a new light and wondered just what does it all mean? We certainly weren’t spoiled and the kids didn’t have everything they wanted but to us what we had was always enough. I found myself then pondering about the trips we’ve taken to the beach, to the lake, camping, or to the cabin in TN, to visit family, to amusement parks, or water parks. Then all the trips we were still wishing for… Disney, New York sightseeing, the airplane rides we didn’t take, all the things we still wanted to do with Drew, Nate, and Kaylee. But then I began to think… Out of all our things and all our memories with Nate I wondered what my favorite was. In that moment my mind wrapped around a memory as if I could still feel Nate right there. Our afternoon cuddles on the couch. He and I would spend our afternoon curled up to watch his cartoon and spend some quiet time. It was the one time of day that in this crazy life that I really just relaxed. And it was with Nate. Sure, there were dishes that needed done or floors that need swept or laundry that needed folded. But to me it was the time of day the house was quiet. Drew was at school, Kaylee was napping, and the ringers on the phones turned off. Out of everything we’ve done… These are what I miss most. The love we gave him, the hugs we gave him, the laughter we shared, the evening game of “punches” the boys would play with Justin, the tickle fights, the family room covered in blanket forts, camping out in the family room, the bedtime dance parties or bedtime hide and seek games. These are the little things that when you look back have become the big things. Looking back I wouldn’t change one single moment of the love we gave him. As we approach Christmas and the materialistic things that come with Christmas I am reminded of what really matters. Life. Love. Faith. Family. Friends. There are gifts under our tree and there probably always will be. I like giving gifts and I like smiles on faces as they receive gifts. Christmas will be different this year without Nate. I can’t hide that Christmas will be hard this year. I think this year, most days, I feel like I am just going through the motions of the holidays. I can’t seem to find that Christmas spirit and joy that I’ve always had at Christmas. The anticipation and excitement that I love is just not here. My heart is broken this year and that is okay. The last few days I have begun to realize that although my heart is broken it can be healed by Jesus. I want to find the joy to celebrate the birthday of Jesus because without him where would we be? As she referenced Lamentations I found myself re-reading it last night. As we turn the corner of figuring out our “new” traditions on holidays and in everyday life I will not forget the things I love most about being a mom. Last night I sat in awe as I watched Drew read books to Kaylee before bed. He has such a sweet heart and I cherish the quiet moments that we have together as a family. I will continue to find time for that quiet time and hope for an afternoon cuddle on the couch with the kids. So as I enter the next week I will Hope. Hope: It’s just one little word, but sometimes it means everything. We are travelers. We’ve always taken trips on a monthly or sometimes weekly basis either to vacation or visit out of town family. We are go, go, go people. Our kids travel well. They’ve never known any different. We had traveling down to a fine art of packing and planning. I would start preparing a day to a week in advance depending on the length of the trip. I would have lists and piles separated for packing. The car loaded in advance with snacks and travel bags of goodies to keep kids entertained. We love to travel. We are the “leave at 4 am family that gets to where we are going before we can even check in”. We were always headed to Virginia or Pennsylvania to visit family. Whatever new place or adventure that came to mind or that we could afford we would do. Nate fit right into this mentality with us. He loved to go. He loved to see what was on our agenda next. Shortly after Nate’s passing we decided we wanted to take a trip to Pigeon Forge TN where my parents have a rental cabin we have visited more times than I can count. Our initial thought was actually to escape Christmas as a getaway but since the cabin was already booked we had time to realize that escaping Christmas was not the right way to tackle it and instead thought a long weekend getaway during the Christmas season was a better fit. Nate had been asking since early Spring if we could go to “Nanny’s Cabin” again. We ran out of time and hadn’t made it this summer because of other family trips but had hoped to go in the fall as a family. So when we pondered a trip it seemed only fitting to make the 8.5 hour drive to TN. We looked at a calendar and picked the weekend and blocked off time at the cabin and then really procrastinated on the trip from there. Normally the excitement would build for weeks but this trip was anxiety ridden for me. I didn’t want to think about it. I didn’t want to plan. And I really didn’t want to pack. In fact even in the week prior I think I intentionally found things to keep me busy so I didn’t have to think or pack. Because packing meant packing without Nate’s clothes. Planning meant planning without Nate’s input. Because packing the car with bags meant I didn’t have to pack Nate’s DS, itouch, his favorite snacks or have Nate packing his back pack full of Hess trucks, matchbox cars, and coloring books because these were his choices to pack. Because packing the truck meant we had an empty seat and more travel space. Because telling the kids about the trip meant we didn’t have Nate to ask us 800 times if it was time to go yet as he counted down the days. Because the idea of traveling was all of sudden scary. As Wednesday approached I found myself really struggling with these fears and truths. By Tuesday night it was time to pack. I had procrastinated long enough. As I lay on my bed looking at the clothes that needed to go into a suitcase I just sat there almost as if paralyzed. I knew I had to gather the strength to do it because Drew was excited for that early morning wake up on Wednesday and for the upcoming Dollywood thrills. I gathered the strength late Tuesday night before I crashed into bed for the night. I did it last minute. Soooo not my style. But on this trip this is how it was done. Last minute I threw everything into joint bags and set them by the door to load into the truck. I forgot socks for Drew. I forgot medicines I usually carry for all the just in case needs. I even forgot to pack a cooler full of fridge stuff so we didn’t have to re-buy items when we got to the grocery store there. But it didn’t matter. I packed. I did it. I fought another huge battle of getting out the door. Wednesday morning we planned to leave at 5 am. We made it out the door about 5:45. It was hard leaving. We felt incomplete. We were missing our Nate. Every ounce of me wanted to run back inside and say “We aren’t going” but I know that is not what we do. We don’t give up. We cried as we pulled out of the driveway but as we made our way down the 8.5 hour drive we began to talk about the fun we would have at Dollywood and in TN. Our drive there had a few hiccups in its course. It took 3 attempts to get out of the driveway as we kept turning around for forgotten items (due to my lack of planning), haha. We stopped somewhere along the highway on 81 in VA for potty breaks and to change Kaylee. We stopped at a gas station first that didn’t have decent potties so we drove across the street to McDonalds. Justin got out of the truck to walk the puppy as I took Kaylee and Drew inside to use the bathroom. As we both walked away from the truck we heard it beep and the alarm sound. I found it odd that Justin was locking the truck doors when he was literally standing 30 feet away with the puppy on a leash. When I walked back out from McDonalds bathrooms I asked Justin to unlock the doors so I could put Kaylee back in her seat. He responded with “You have the keys”. I did not have any keys. I said “You locked the truck” and he immediately said “No, you did”. Uh Oh. It had happened. I looked inside the windows to see his keys still in the ignition and my keys sitting on top of my purse. 2 sets of keys both locked inside the truck while we look from the outside with a puppy, a ready to run 23 month old and a restless 7 year old. After the last few months of knowing things that we can truly be upset over… this was not one of them. What could we do but laugh and induldge in french fries and milkshakes. As we waited over an hour for Chevrolet Roadside Assistance to come unlock our doors all I could do was ponder what a new adventure for our family was and how this was a big distraction from the emotional morning we had. We also talked about how Nate would have loved the whole adventure. He mostly would’ve been excited to see the work truck come and see just how they were going to open our doors. He loved that kind of thing. We still aren’t sure exactly how the keys got locked in the car with the alarm set but I think it was all in our plan that day. We needed that distraction and needed something to laugh about. The forecast had called for sunny skies all weekend showing a chance of rain into the late weekend. So Thursday morning as we headed out shopping we were surprised to see rain. It was the first morning on vacation when I was feeling sad over Nate and wishing he were there. I was once again reminded of God’s love. One month after Nate’s passing on October 2nd, I woke to a downpour of rain. On that day I felt depressed and sad and as if the sky was weeping with me. A very good friend’s mother called her and said she wanted to pass this message to me “Do not think of the rain as tears. Think of the rain as if God has opened the heavens and poured out His and Nate’s love for you”. My day and view of the rain turned around in that very moment. In that moment, on this past Thursday morning, I looked at the rain and thought, “Yes, God, please open the heavens and pour out your love”. We love the Pigeon Forge area of Tennessee and have been there more times than I can count. We have so many memories there. I’ve spent the 4th of July there with my sister and niece Hannah, and the kids. I’ve spent Christmas season weekends there admiring the lights and Christmas spirit. I’ve shopped, spent time at Splash country and Dollywood, vacationed with my family, vacationed with Justin’s family, we’ve been all through Gatlinburg, hiked and been through the national park and Cades Cove. Every corner we turn we have a memory. We have all good memories, laughter, and smile provoking memories. I have memories of smiles on faces as they come off rides at Dollywood, or marveled at a view, or the awe in a face as we hiked to white water or waterfall views. I have memories of the Dollywood rides that Nate loved. The veggie tales roller coaster that he must have ridden 30 times. The shooting star ride he started riding when he was just barely tall enough and then grew to love. The old fashioned cars that you drive around a track that I know we rode with Drew and Nate at least 2 dozen times each visit. Sitting on the train that tours Dollywood as Nate watched the engine of the train in awe and trying to figure out how it all worked. As I watched Kaylee on some of the baby rides I couldn’t help but see Nate sitting beside her arm around her proudly as he did on our spring trip to Hershey Park. Nate wasn’t tall enough for the rides that Drew could ride but he never minded. He was happy to see a smile on Kaylee’s face and ride a baby ride with her. Remembering Nate at Dollywood and riding rides was hard but I have to remind myself that we did those things for our kids. Our kids have those memories because of us. Our kids had fun because of us. Our kids are loved because of us. And our kids will continue to have these things because of us. Nothing has changed. We still love our kids without fail and will never stop doing the very best for them. This trip was about our family. Putting our family first and taking time for us. It was about trying to relax and escape reality for a few days. Justin and I were able to sneak away leaving Drew and Kaylee with my parents and spend time together. It was the first time in months that he and I really genuinely laughed together. We were able to coordinate schedules so that my parents could spend some time in Tennessee with us too. While some of the trip was spent helping them prepare the cabin for Christmas and Justin helping my dad with a few things that needed done… most of the trip was spent enjoying each others company and having fun. Pigeon Forge and Dollywood were beautifully decorated for Christmas. It was enough for Justin and I to feel like we could come home and begin preparation for the holidays. I think it gave me just enough inspiration to muster the strength to decorate for Christmas here. If you know us you know that I am usually begging to decorate the day after Thanksgiving and I have Justin under the house digging out Christmas bins. This year has been different and I have purposefully procrastinated in decorating for Christmas. Maybe I’m procrastinating because putting up the tree meant Christmas was really happening or knowing that seeing the ornaments and the memories would be difficult. Maybe it’s because Nate’s birthday is around the corner. Maybe it’s because Nate LOVED Christmas and toys. Tonight, because we are parents first and our kids want Christmas, we pulled those bins out. Tonight we started decorating for Christmas. 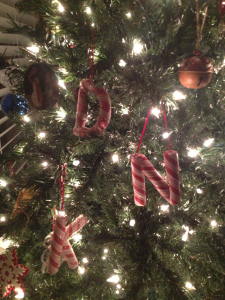 We pulled out the Christmas tree and the ornaments. There were tears. 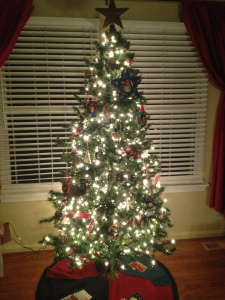 Nate’s ornaments and pictures are proudly presented on the tree. His glittery preschool picture ornaments and the truck carrying a tree he picked out last year and broke on the way out of the store and with a 5 year old in tears I was right back in the store to buy another. There were smiles combined with tears as we see the excitement build in Drew and Kaylee as each ornament went on the tree. We will remember Nate always. He will never leave our hearts in everything we do. He is always with us. 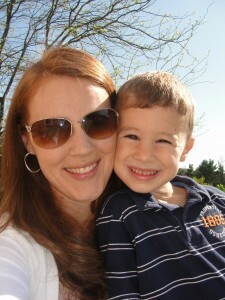 It has been a while since I have posted to Nate’s blog. I apologize for that but I have found it hard to muster anything to say recently. I find myself trying to live life for my family. Making sure that Katie, Drew, and Kaylee are taken care of and that we as a family are “making it”. I have thought intently about writing and expressing where I am but just haven’t brought myself to put my thoughts on paper. I want to make sure that when I write – it is thoughtful and from the heart and not just rambling thoughts that I experience throughout the day. See – writing for me has always been more about me. I think that I write more for me than anyone. Writing for me has probably always been more about expressing myself and letting others know what Nate meant to me and how his life affected mine. The only two reasons that I write are to let others know more about Nate and to express how I am feeling about where I am in my life. I don’t write to counsel others or push my thoughts or parental guidance on others. For me to do that would not be genuine – I am not a prefect parent nor have I ever been. I was not a prefect parent to Nate and I am not a perfect parent to Drew or Kaylee – I wish I could claim otherwise. As a person and parent – I find flaws in myself daily and I don’t claim otherwise. Shortly after Nate died I met with a good friend of mine who has also suffered a significant loss in his life. He is a GREAT friend and he counseled me extensively about what to expect in the days to come. He explained to me that my life would forever be defined as before and after. I listened intently as he explained to me that life was now about BEFORE and AFTER. I admit that he was on point as he explained life after the loss of a loved one. Life had become defined by moments. Those moments consisted of BEFORE and AFTER Nathan’s death. Everything that happened would be thought of as BEFORE Nathan’s death or AFTER Nathan’s death. Prior to September 2nd, 2012 our lives would be described as average. Katie and I were happy. We were the proud parents of three beautiful kids and we lived the crazy, hectic life that everyone else who has kids becomes accustomed to. We are the aunt and uncle to 12 kids and extended family to many others. Our weekends are typically filled with family birthday parties for a niece or nephew or consumed by sports or parties for friends or our kids. We ran ourselves thin and were fine with that but had also made it known that it was impossible to make it to every scheduled event. We did our best to attempt to make it – but my schedule and logistics just made it impossible to attend every event. When September 2nd, 2012 arrived, nothing could prepare us for what lied ahead. Shortly after Nate’s death, I realized that my friend was right – everything in life was defined by that date. Every moment in life was either BEFORE Nate’s death or AFTER Nate’s death. Everything that I thought about was remembered with the caveat – was it BEFORE or AFTER September 2nd, 2012? September 2nd, 2012 is a date that defines every moment in our lives. Every movement, every action, every event revolves around September 2nd, 2012. Crazy – but a date that had no prior meaning now defines us. I constantly find myself thinking of September 2nd,2012. Whether it is October 2nd, 2012, November 2nd, 2012, December 2nd, 2012? Each anniversary marks a new milestone that you wish would fade into another day. You can feel the anxiety that builds up and through the 2nd day of each month. Thanksgiving just passed and Nate was born on December 23rd. Each holiday is a reminder that we are missing something so significant that it is undescribable. Each December 23rd will pass and we will not be able to know what Nathan would aspire to become. Each moment passes and we are reminded of his absence in our lives. I am sure that the next few weeks will be even harder as Nate’s birthday is followed by Christmas and New Years. I remember Nate grabbing each toy flyer that came in the mail and circling every toy in each as a present that he wanted for Christmas. It is heartbreaking to go to the mailbox each day and find another flyer for a toy store only to realize that each one will slowly find its way into the trash because Drew could care less about it and Kaylee is too young to know the significance of the day. The magnitude of the occasion is not lost on Katie or I. We are keenly aware of Christmas and the hole that Nathan’s death leaves on such a significant event. Christmas is supposed to be about the birth of Christ our Savior but is instead marked by the loss of our son. I imagine that this song stuck with me because it talks about waking up one morning and hearing news that breaks your heart. It was like I woke up September 2nd, 2012 to a new reality. No one knows what it is like to wake up on September 3rd, 2012 and feel this way. No one knows what it feels like to not have the answers to questions that should never have to be asked. I realize that others have lived through this – but no one knows this heartbreak. My good friend always said “I am not comparing my loss to your loss.” And I do not venture to compare my loss to others – every loss is unique. Every relationship has a special bond that no other knows – I know my relationship with Nate and no other is like it. I am not saying my relationship with Nate was better or worse than others but it was unique. It was special and no other can replicate it. No other relationship can be compared to Katie and Nate, or Drew and Nate, or Kaylee and Nate, or Nate and his grandparents, or Nate and his aunts and uncles, or Nate and his cousins, or Nate and his friends…..they were all unique and therefore – special. No one can compare them or know the impact that his loss has. The lyrics “You don’t need Jesus til you’re here” hit me. I have prayed for my family and the safety that no one but God can guarantee. Prior to September 2nd, 2012, I had asked for God to watch over my family and protect them. I had prayed that nothing like this would ever happen. But until September 2nd, 2012, I didn’t need Jesus. I didn’t need the strength of others until I found myself at this very moment in my life. On September 3rd, 2012 – I needed all the strength that Jesus and others could provide. I needed anything that would provide me the Hope that I would someday be able to be reunited with Nathan. Prior to September 2nd, 2012 – nothing in the world could bring my life to a stand still like Nate’s death has. My life was pretty immune to such things. Naïve – I know but prior to September 2nd, 2012 – life was just life and we were just living it. Like every other family who lives life – we made it work with what we had. I never thought that life could change so quickly and permanently. After September 2nd, 2012 – FOREVER took on a whole new meaning. Forever meant something totally different. The things that we could have done – seem like things that we should have done. The important things that we think we needed to do – seem like unimportant things that we never really needed to do. The times we didn’t spend together seem like times we should have never spent apart. The things we got mad about seem like things that we could have forgotten about. The I Love Yous that were never said seem like lost opportunities. The maybe laters seem like times that will never present themselves again. September 2nd, 2012 redefined all of that stuff. What was important in life – is no longer so important. What is truly important in life – seems so much more important. I remember leaving Smith Mountain Lake (SML) after Nate’s death and driving back to Maryland. My brother drove Katie, Drew, Kaylee and I back in our car. It was a rainy and miserable day to be traveling. I remember driving away from SML with an empty feeling knowing that we were leaving with less than we came. We were emptier than we were on September 2nd, 2012. I remember packing up the SUV and feeling incomplete. 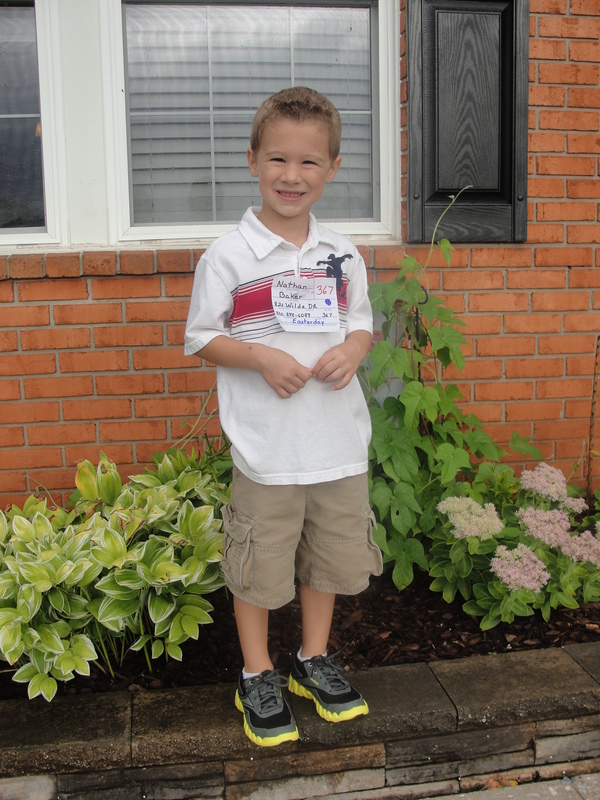 Nathan’s things were packed in the car – his bags, his toys, his clothes, his red and blue Crocs that to this day remain tucked under the seat of the SUV. Leaving a place without a child that you came with was unbearable. Just unbearable! I remember leaving SML and getting about 3 miles from the house before a song came on the radio – Gary Allan – Life Ain’t Always Beautiful. I had heard this song a million times before but never had it hit me as it did at that moment. I hung my head and cried thinking about how it related to what I was feeling……. We drove north towards Maryland and reached Harpers Ferry, West Virginia. During the ride I had been writing my thoughts on my iPhone. Thoughts that would later make up much of what I spoke at Nate’s funeral. We had mostly listened to CD’s, the radio or remained silent during the ride. None of us had much to say and Katie had played some songs on her iPhone. When we reached Harpers Ferry, I turned off the radio and played a song by Chris Rice (Spare and Angel). This song had meaning to Katie and I because it was sent to us by a friend of mine when Drew was in the NICU in 2005. Immediately after the song ended – I received a text message from the person who had initially sent me the song in 2005. The text read “Oh Justin, No.” I knew that this friend had heard about Nathan’s death and I responded in a text. My text message never went through to my old friend since we were in an area without cell service. I remember thinking to myself – How coincidental is it that I played this song and immediately after it ended I received a text message from the person who initially sent me this song. He had sent this song to me 6 years prior hoping that it would help lift my spirits when Drew was sick. The lyrics talked about a woman who is staring into darkness and pain and asked how much she could take. The song goes on to ask God to spare an angel. I had always thought about Katie when I heard this song but on this day more than ever. I wondered if God would take Katie’s broken heart into account and spare an angel for her. The song was fitting and it meant more to me than it ever had. I know that no day since September 2nd, 2012 has been the same and that no day since will ever be the same. No day since September 2nd, 2012 had been as happy and that no day since will ever be. I know that life as I knew it on September 2nd, 2012 is different and that every day of life since then will be different. I have reluctantly come to grips with these realities and struggle each day to accept that reality and make each day better than it was since Nate’s death on September 2nd, 2012. No day will be as good as September 1, 2012 when life was as expected but each day since September 2nd, 2012 can only get better. 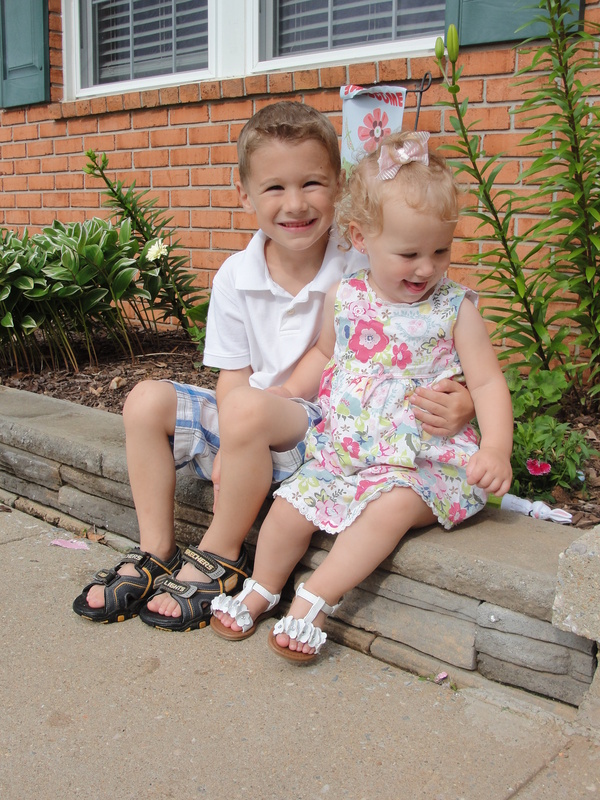 Nathan’s memory will ensure that we live a better life than we did on the day of his death and that we make sure that Drew and Kaylee have the one thing that we can promise and have promised to all of our kids – unending love. September 2nd, 2012 was a defining day in our lives but we will not allow it to define the rest of our lives. We will move forward with Nathan in our hearts, guiding us as we continue to remember him and teach others what it means to Go Out and Be Great.